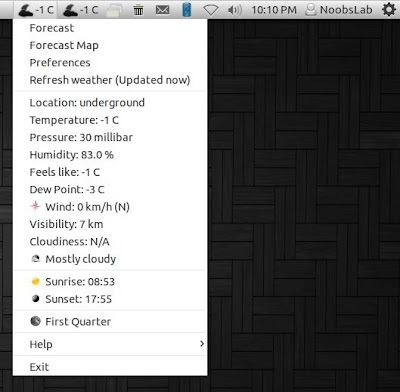 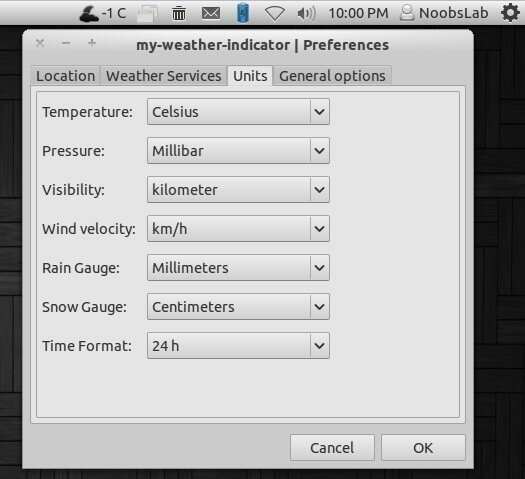 It displays weather of location on panel, You can add up-to 2 locations in this indicator. 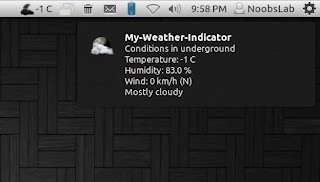 It shows weather in complete details. There is forecast map option to choose location from map. 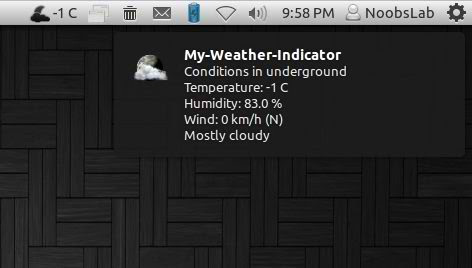 You can add up to two locations in this indicator, there are option for show temperature on panel and show notifications about weather. 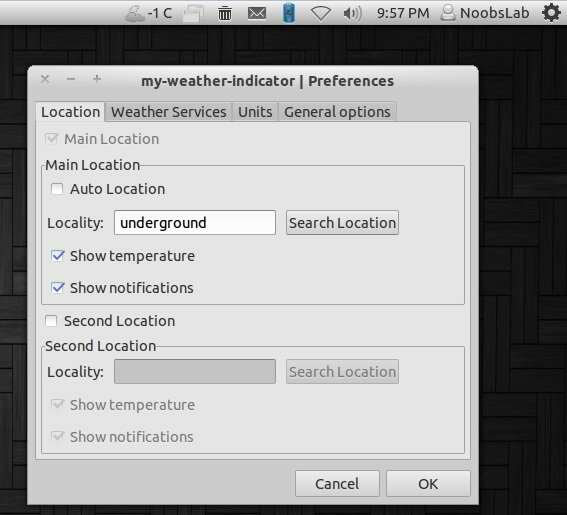 Also you can select "Auto location" for Main location, It will auto detect your current location. 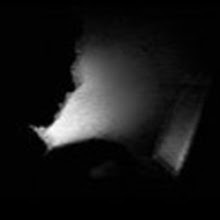 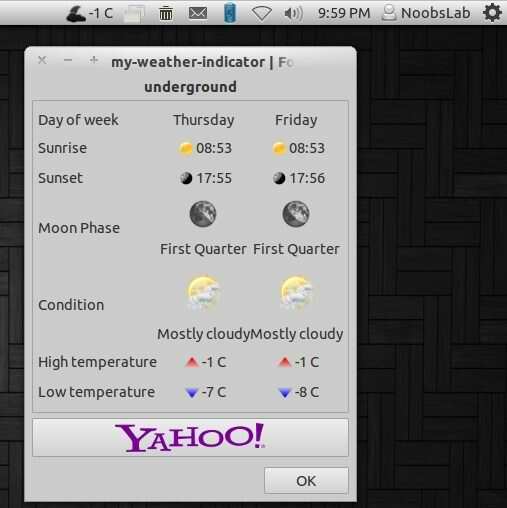 There are three weather sources available: Yahoo, Open Weather Map and World Weather Online. 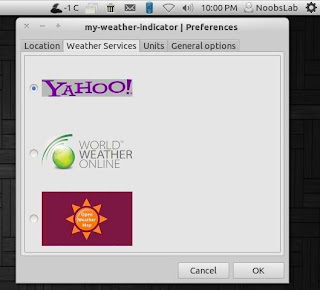 You can choose whatever you want. You change settings of temperature and details for weather. In General Options you can select "Auto-start" option to start automatically at login. 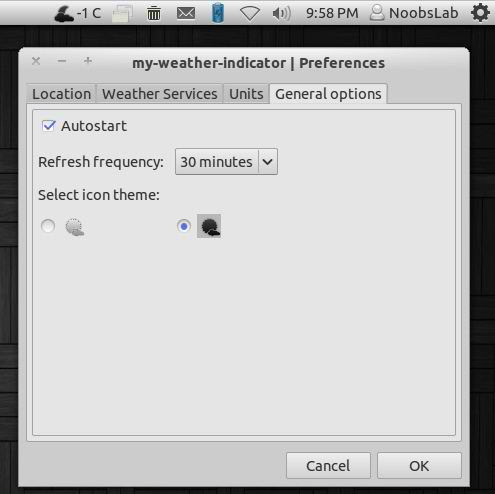 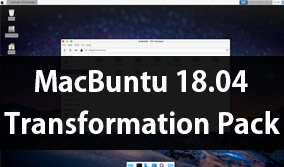 You can change weather refresh time from "Refresh Frequency" and You can choose light or dark icon for panel.